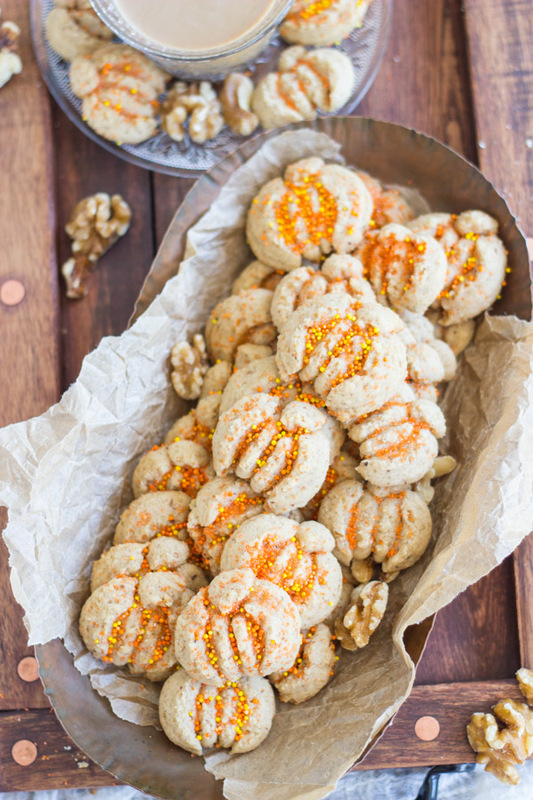 Delicate, buttery spritz cookies, flavored with pure maple syrup and ground walnuts. 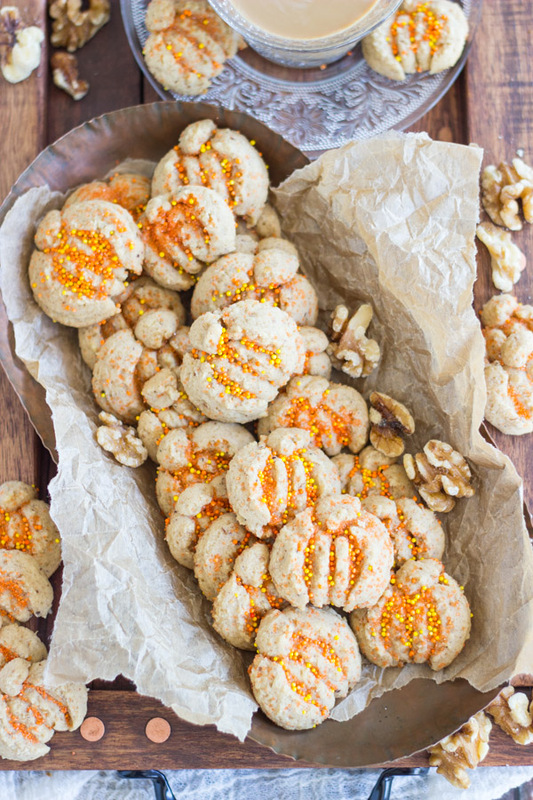 Spritz aren’t just for Christmas, and these Maple Walnut Spritz Cookies capture the essence of fall. 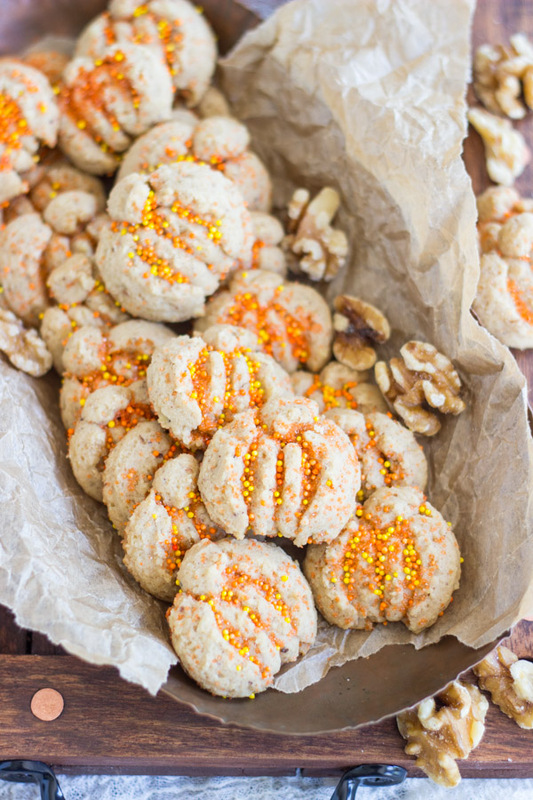 A spritz cookie for fall – why do we only make spritz at Christmastime? Let’s change that, shall we? At the very least, let’s expand spritz season to include fall. I can certainly see a time and place for spritz year-round, but they typically only make appearances at Christmastime. My cookie press has disks for various flower and butterfly shapes, so prepare to see spritz again in the spring! My cookie press actually came with a pumpkin-shaped disk too. I got it a few years before the pumpkin craze even took off, so I’m impressed that it came with that. Granted, the pumpkin craze is really more about foods with actual pumpkin in them, and not pumpkin as a shape, but it’s still cool that they included it. I had to use it! 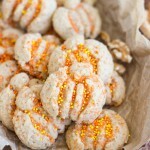 I saw a recipe for Maple Walnut Spritz Cookies in Taste of Home, and I ripped off the idea. I love maple and walnut together. Grinding up walnuts to infuse the nuttiness right into the cookie dough. 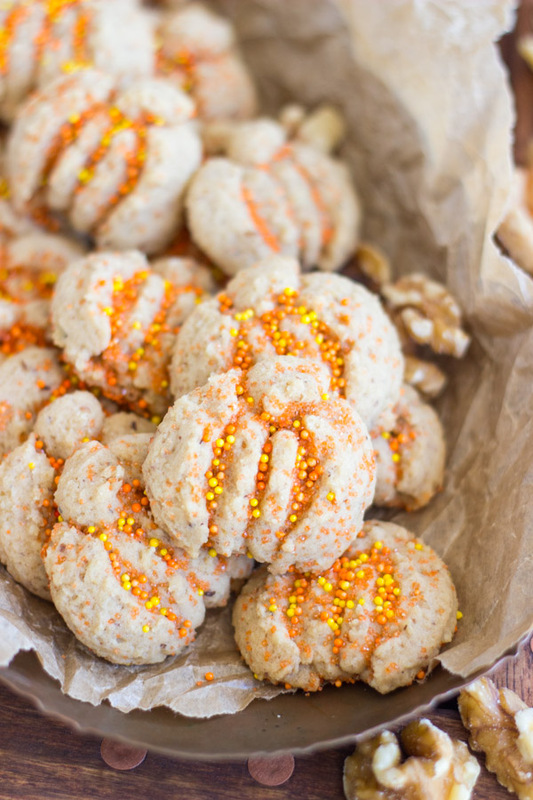 That special touch really imparts a lot of flavor into these light, buttery cookies. 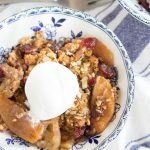 Aside from the ground walnuts, this recipe includes pure maple syrup in the dough too. 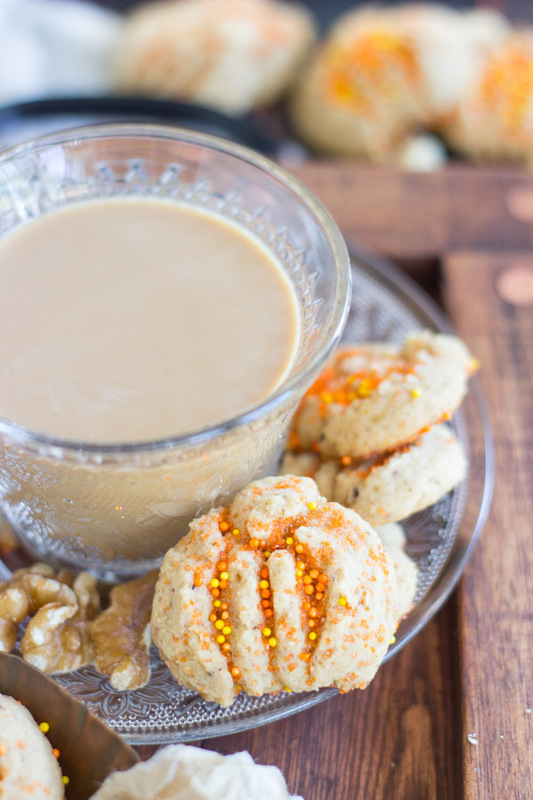 The maple syrup adds both flavor and sweetness, so these don’t otherwise contain a lot of sugar! That’s a rarity on this site, am I right? I added maple extract too for extra oomph. I wanted it to be pretty strong on maple, but you’re also good without it if you can’t find it. 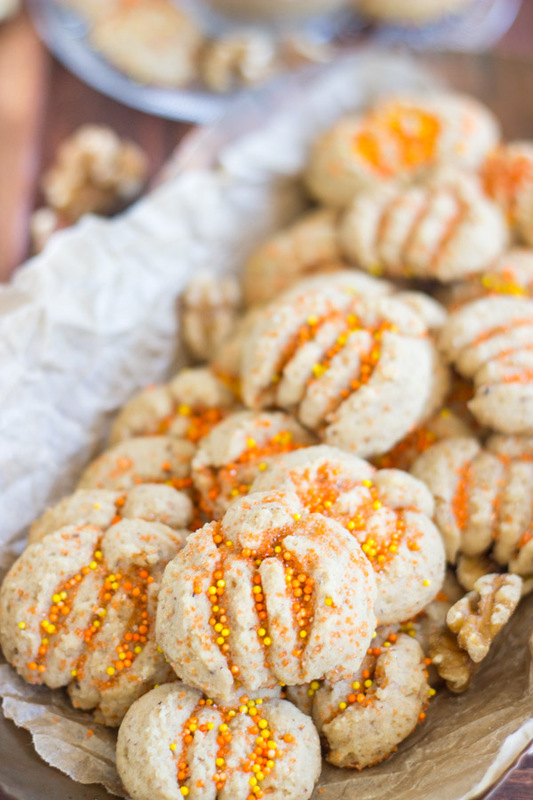 Maple and walnut were always favorites for me in the fall, and since spritz in the fall are a thing now, you should totally get on board with these Maple Walnut Spritz Cookies! 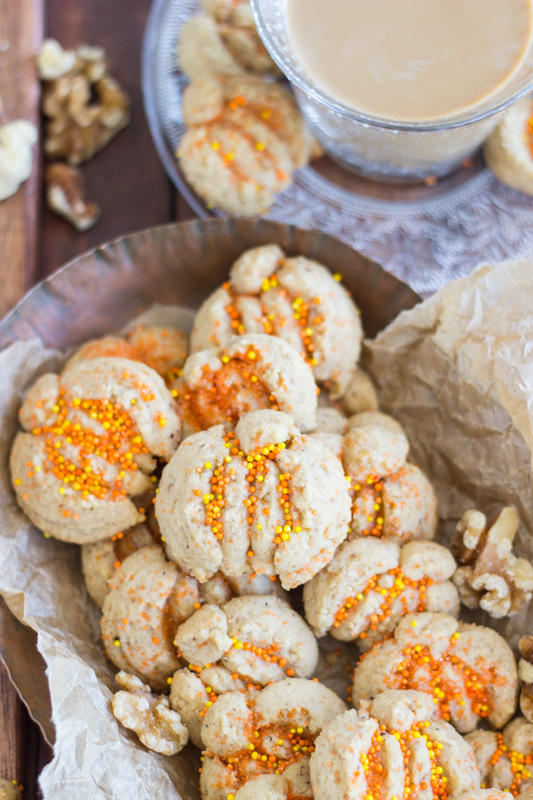 Delicate, buttery spritz cookies, flavored with pure maple syrup and ground walnuts. Beat in egg, maple syrup, and maple extract. 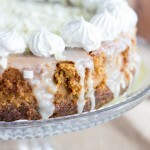 In a medium bowl, whisk together flour, walnuts, baking powder, and salt. 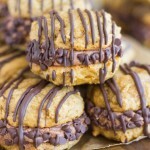 Using a cookie press fitted with your choice of disk, press cookie dough 1-inch apart onto ungreased cookie sheets. Sprinkle with sanding sugar or sprinkles. Bake at 350 degrees for 8-10 minutes, or until bottoms are very pale brown. 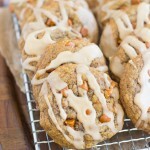 I love spritz cookies, but I’ve never thought outside the Christmas box! Great idea! 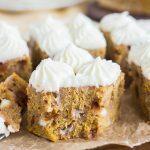 Thanks for sharing on the What’s for Dinner link up and don’t forget to leave a comment at the party – Next week’s features that also leave a comment get pinned, yummed and tweeted! Looks delicious.Thank you for linking with us at #HomeMattersParty . We would love to see you again next week.